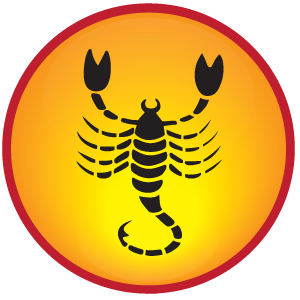 Scorpio Sign people can read here Scorpio HOROSCOPE 2015, Scorpio Astrology, Future Prediction with 2015 Scorpio Horoscope. Health, Love, Career, Financial Horoscope 2015 of Scorpio. Meaning: Scorpio born people are very passionate and warm. It is saying that they destroy the money, pretentious, weak of mind, lack of decision and have anger. Forecast: Jupiter is in your luck place and Saturn’s Sade sati’s second phase is going on. You have health and mental issue. You have to take action with peace. Couples who want children they have to take medical advice. Ketu is in fifth place so you should worship lord Shiva. This time is difficult for children. This is year is positive in financial matters. You can launch new products in the market to get success. When your business makes progress you have to avoid misadventure. You should avoid borrowing money from others otherwise you may be denied benefits. Saturn’s Sade sati will affect your health for next 2.5 year. You may have bone problems. Those who are elder they may have knee problems. You should worship Shri Hanuman and Shanidev as many problems will be solved by their grace. There would be upbeat in love and marriage. But everyone’s birth chart is different so you do not have to worry. Ketu is transit of your love and marriage life which will affect you. Saturn will also bother you. Ketu is in education place so you do not get good results. You may lose concentration. Your results may be affected. You have to strive to be disciplined so that you do not have to suffer. Remedy for Scorpio 2015: You have to chant Hanuman Chalisa and worship Hanuman as Mars is the owner. To get rid of from the loans you have to chant Runmochan Mangal Strot. Do fast on Tuesday. Serve cow with jaggery and lentils. Chant Srin Sriye 108 times with crystal rosary every day. You can chant mantra of Mars. Dharnigrb Snbhutn Vidyutkanti Smprb Kumarn power system Mangalam Prnmhyamham.